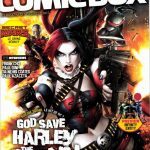 on	Juin 28, 2016 • Product Categories : Comic Box et Presse. • No Comments • Product Tags : Batman, Comic Box, Comics, Iceman, Presse, Secret Wars, et Suicide Squad. on	Fév 16, 2013 • Product Categories : Presse. 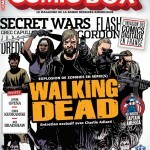 • No Comments • Product Tags : Comic Box, Comics, Flash Gordon, Judge Dredd, Secret Wars, et Walking Dead.